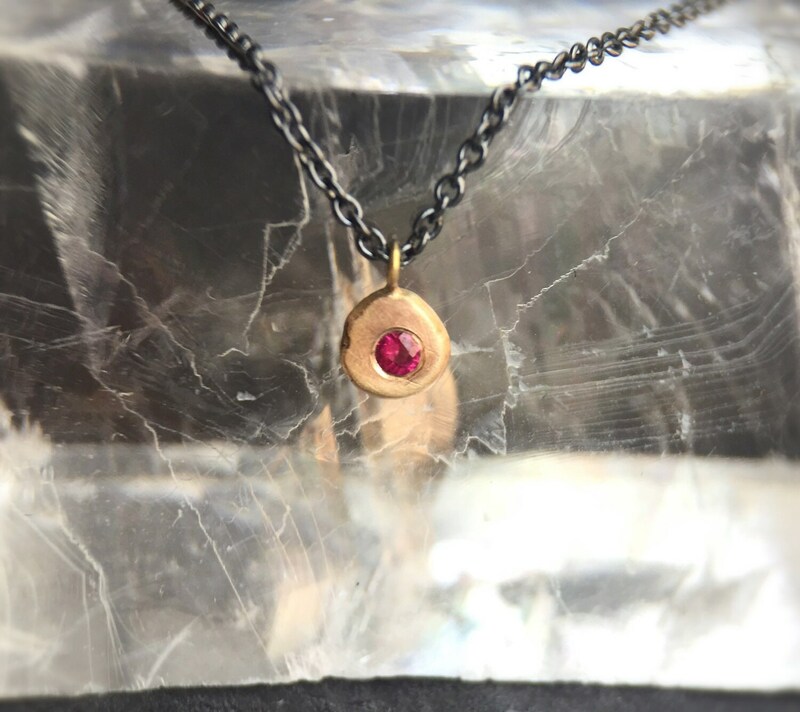 A single sparkly dainty bright red high quality Ruby flush set in a single solid matte finish pebble of 14 karat gold hangs on adjustable 16"-18" oxidized sterling silver chain. 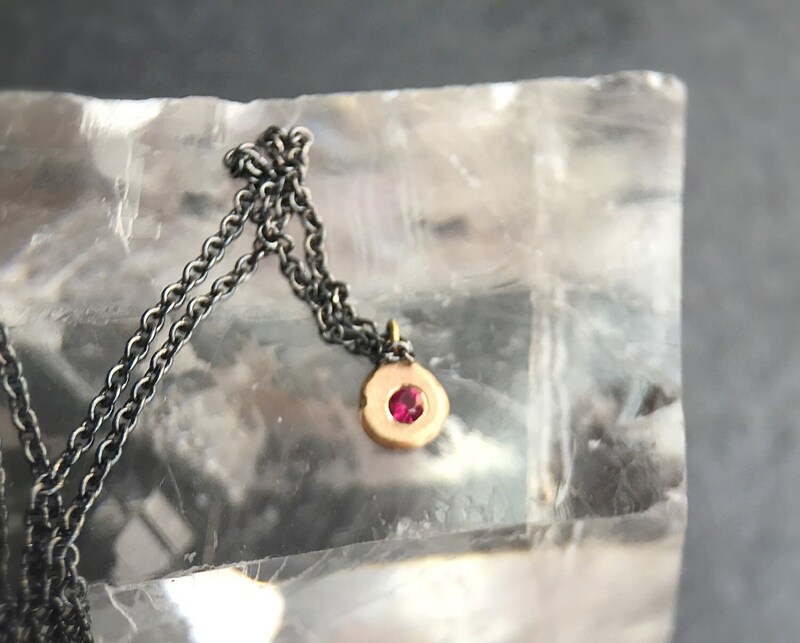 Charm measures 4.5mm wide and ruby is 2 mm. 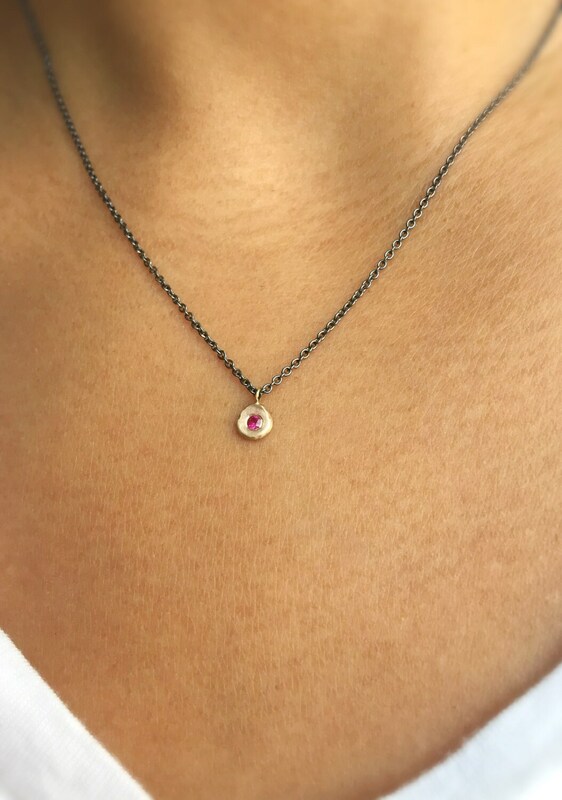 Simply sweet and adorable and goes with everything. 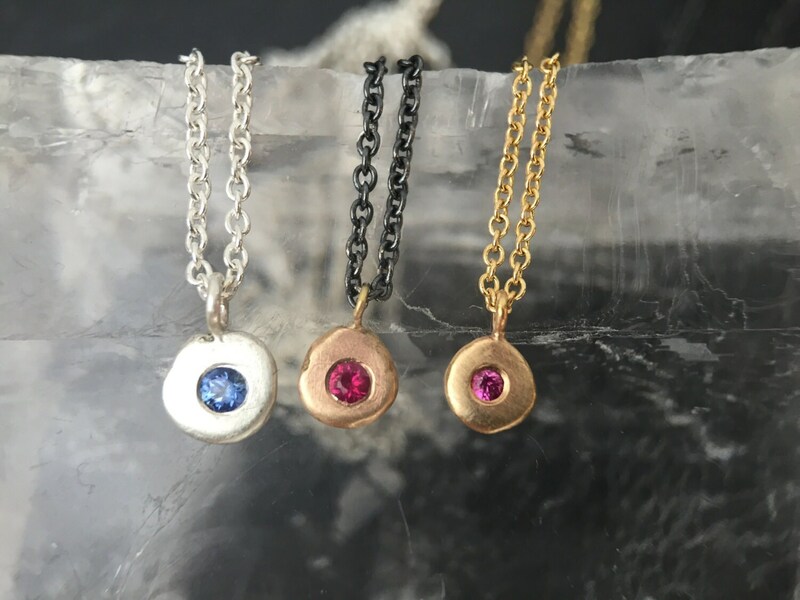 Great for layering or wear alone. 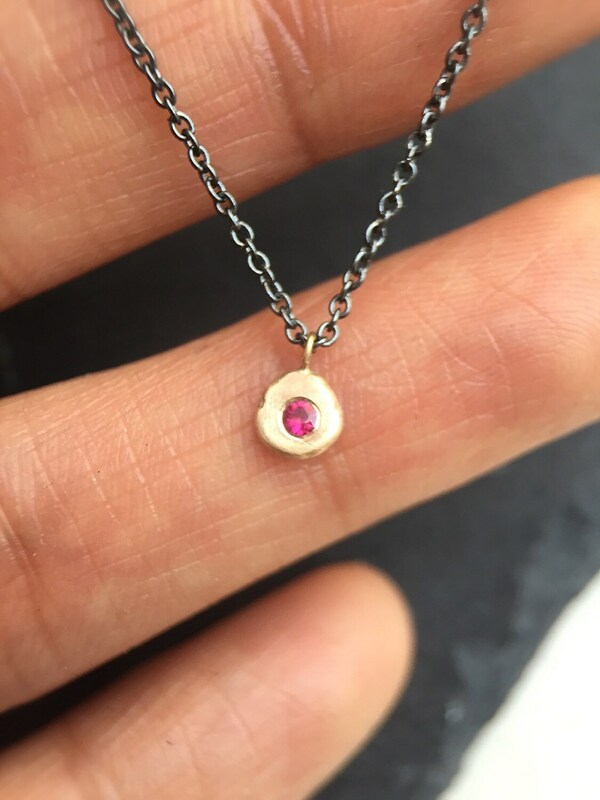 Each pebble is handmade from recycled gold in NYC. -Adjustable Sterling Silver Chain 16"-18"